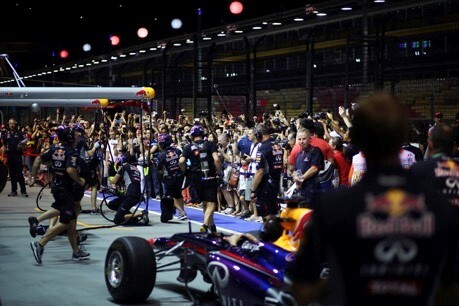 15 June 2016, Singapore - Race promoter Singapore GP commences registrations for exciting fan-friendly Formula 1® themed events as part of the ‘Rev Up Singapore!’ campaign in the lead-up to the 2016 FORMULA 1 SINGAPORE AIRLINES SINGAPORE GRAND PRIX, taking place from 16 to 18 September. The all-new roving truck, walking tours, as well as the popular Pit Lane experience and fitness challenge seek to share the excitement of Formula 1® to Singaporeans and Singapore residents across the island. For the first time, Singapore GP is bringing Formula 1® closer to Singaporeans with the Rev Up Singapore! truck from 25 June to 24 August. The roving exhibition will give Singaporeans the opportunity to experience the thrills of motorsport with racing simulators, bring home attractive goodies, take photos with Formula 1®-themed displays such as the Singapore Airlines Formula 1® trophy and partake in interactive race-themed exhibits. The truck will make its first appearance at SAFRA Punggol on 25 and 26 June as part of its '30 Days of Fun Carnival', before making its way to schools, heartlands, community events and public spaces such as Downtown East, Science Centre Singapore, Sentosa, Suntec City and many more. 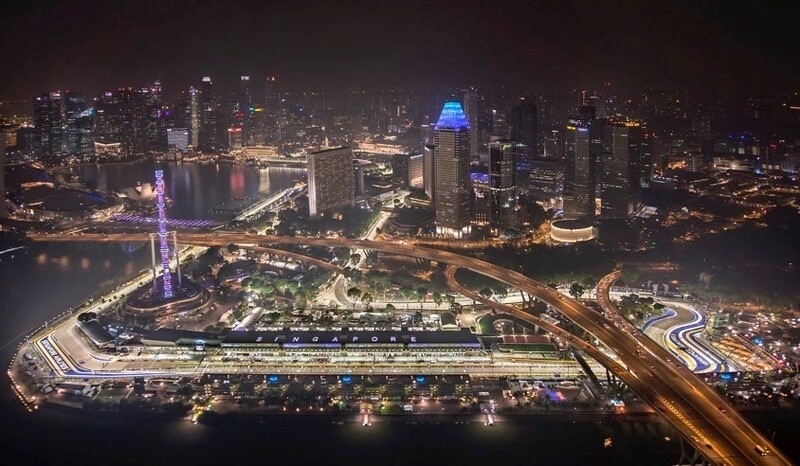 Members of the public are invited to go on a guided walking tour at the Marina Bay Street Circuit and see what it takes to set up a street circuit in the middle of downtown Singapore for the Formula 1® night race. Tours are complimentary and will last approximately 2.5 hours long. Registration is now open at www.singaporegp.sg/revupsingapore. The annual Thursday Pit Lane Experience is back for its fourth edition. Usually accessible only to Formula One Paddock ClubTM ticketholders over the race weekend, members of the public can enjoy this coveted experience a day before the Circuit Park opens to ticketholders. This year, 3,000 members of the public - an increase of 500 from previous years - will get to walk the Formula 1® Pit Lane on 15 September for an exclusive up-close view of the race cars and the pit crew in action at the team garages. Visitors will also enjoy performances from roving artistes, try their hand at interactive activities and shop for exclusive merchandise at the F1 Village. Tickets to the Thursday Pit Lane Experience are complimentary. Singaporeans and Singapore citizens can ballot for a pair of passes at www.singaporegp.sg/revupsingapore. One lucky fan who ballots for one of 1,500 pairs of Thursday Pit Lane Experience tickets will stand a chance to win a Singapore GP VIP experience worth S$7,000. Prizes include a pair of Turn 3 Premier Grandstand tickets to the 2016 FORMULA 1 SINGAPORE AIRLINES SINGAPORE GRAND PRIX, a three-night staycation at the Pan Pacific Singapore hotel, as well as exclusive invites to coveted events. Are you as Fit as a Formula 1® driver? Slots are filling up fast for the upcoming Fit For Racing Challenge. Back for the second year after a successful debut in 2015, the Fit For Racing Challenge returns on 25 June, this time at the all-new SAFRA Punggol. 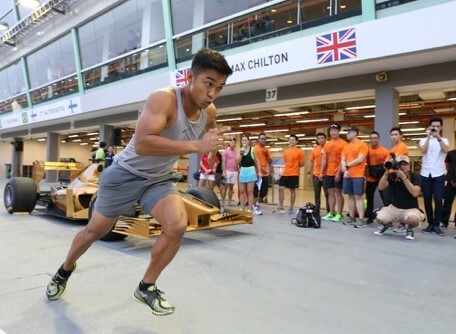 Participants will go through a circuit-style workout that simulates the training regime of a Formula 1® driver. The challenges are created by Paul Haines, an Australian fitness coach who has trained elite athletes including Formula 1® driver Daniel Ricciardo. Registration is S$12 and net proceeds (less transaction fees) will go to Community Chest. Upon successfully completing the challenges, participants will receive a limited edition finisher pack which includes a T-shirt, shoe bag, vouchers and more. Participants will stand a chance to win over S$9,500 in prizes for the male and female category including tickets to the 2016 FORMULA 1 SINGAPORE AIRLINES SINGAPORE GRAND PRIX and prizes from supporting partners. Register at www.singaporegp.sg/revupsingapore.